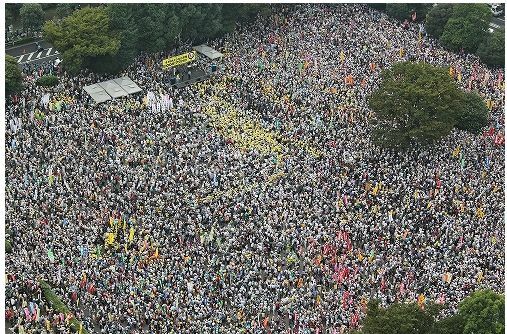 and the US paper Forbes, without photo, says “tens of thousands of people marched”, but the article title declares “Thousands march against nuclear power in Tokyo”. Thousands?? Many participants in Japan are indignant that their demonstration was called a “parade”, as if this was some festival attraction. Well, give the media time to learn. 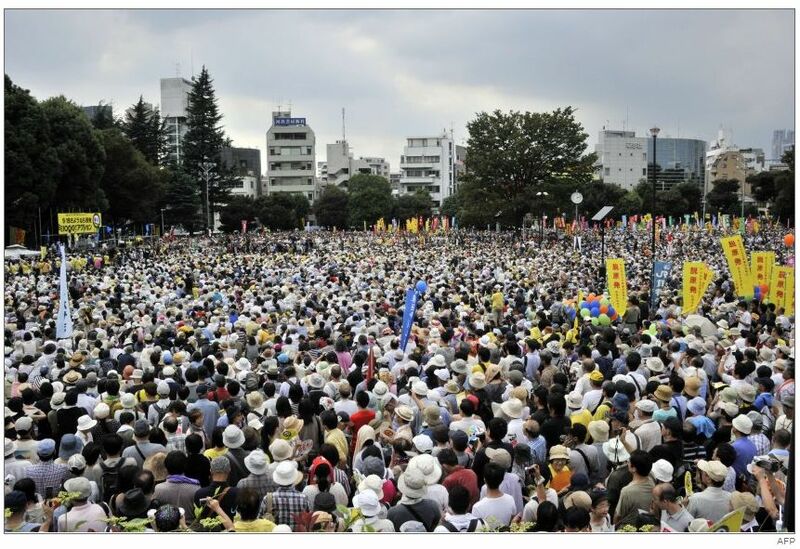 To me, it’s amazing that the MSMs like Yomiuri and Asahi covered the event at all, and even had photographs. Asahi and Mainichi sent in their own photographers for the event. (Yomiuri’s looks like Jiji Tsushin’s photo.) 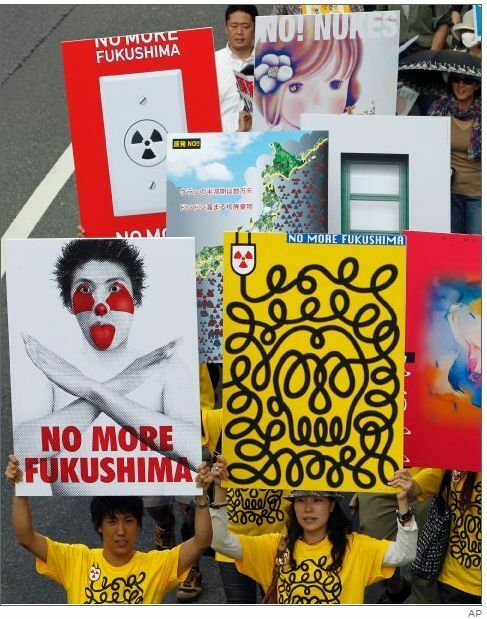 I would take it as a sign that the anti-nuke movement may be crossing the threshold in Japan in terms of the number of people, and the MSMs cannot simply ignore anymore. Calling it a “parade” and using the lowest official estimate by the police as the number of participants is a classic way to belittle a movement.